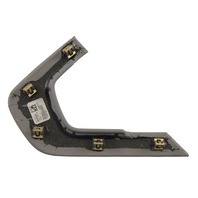 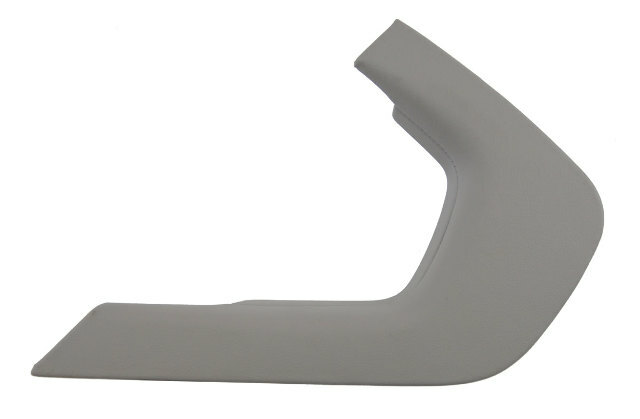 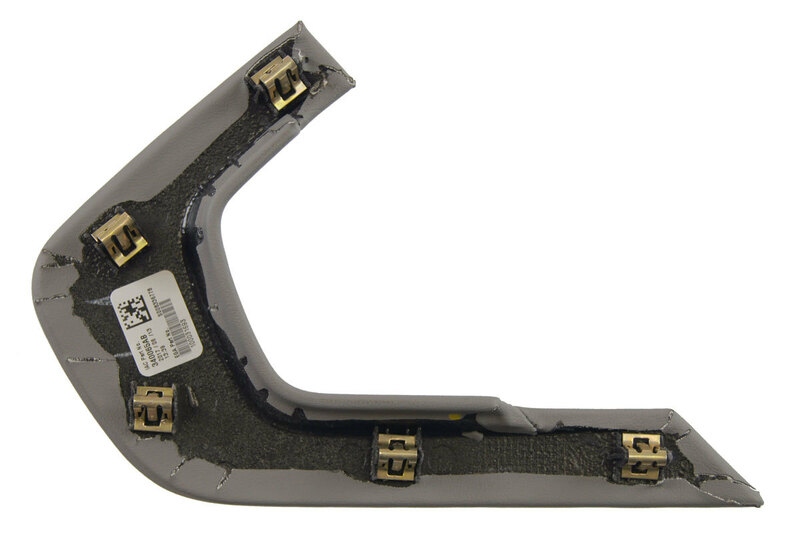 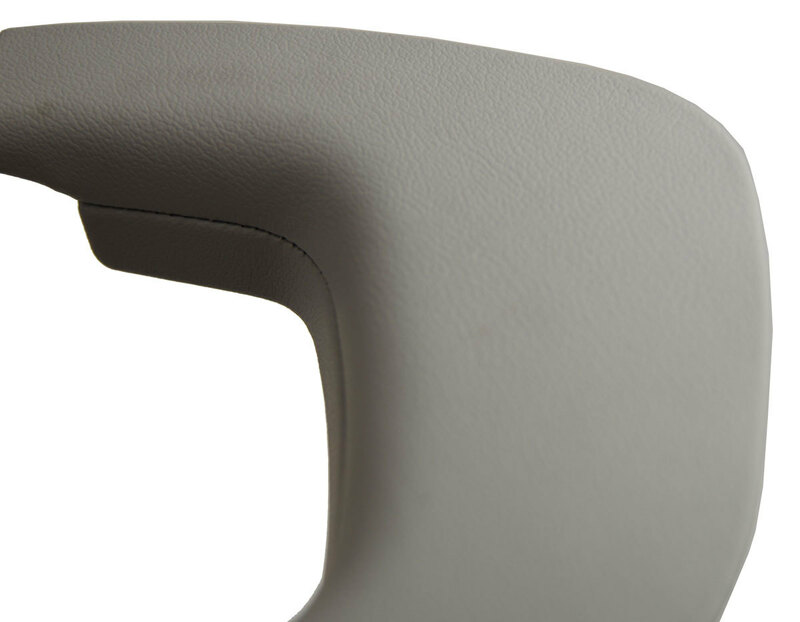 This is the instrument panel trim piece for the center console in 2014-2018 Chevrolet Corvette C7 vehicles. 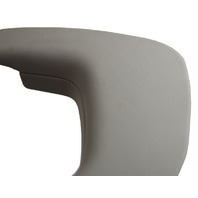 This mounts on the right side of the center console. 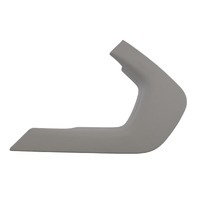 This part is wrapped with a gray leather. 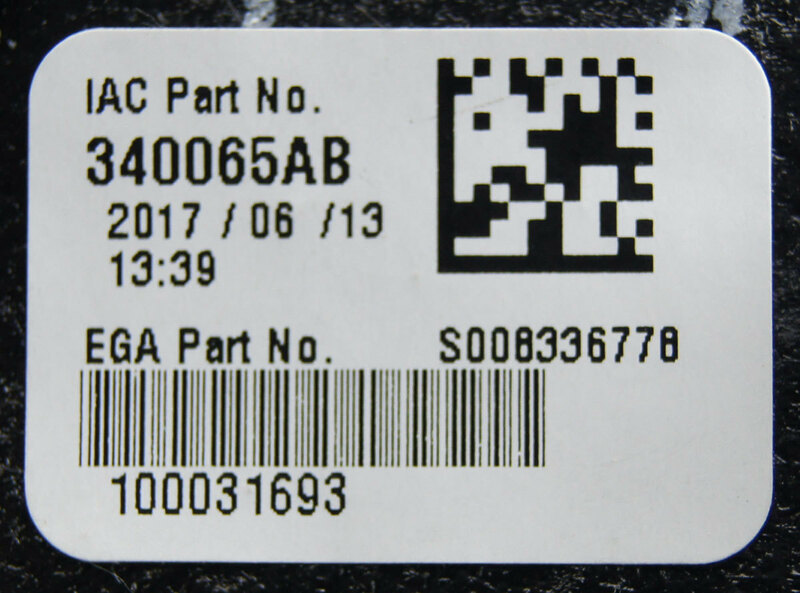 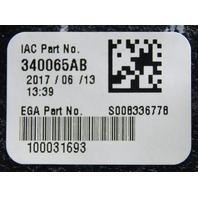 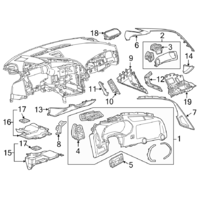 Replace your part with this brand new factory GM part at a fraction of the dealer price. 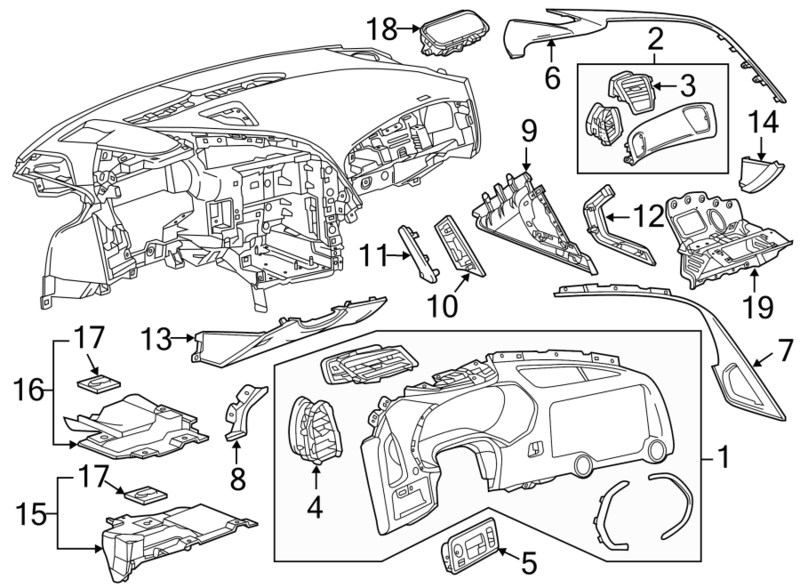 Item is number 12 in the GM diagram.